A range of short- and long-term studies that assess the effects of crop protection active ingredients on living beings and ecosystems are performed to determine if they may cause adverse effects. 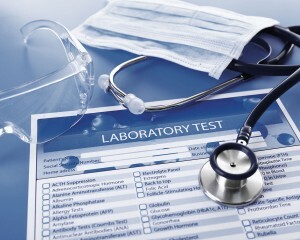 Some short-term tests are also done on formulated products. All of these studies are conducted according to international regulatory testing guidelines. A strong regulatory system ensures that people and wildlife are not exposed to any crop protection products at levels that may cause adverse effects. Tests evaluate potential adverse effects in both vertebrates (including mammals, fish and birds) and invertebrates (i.e., insects, worms and shellfish). Interaction with the endocrine system that leads to adverse effects (i.e., endocrine disruption) in humans or wildlife is dependent upon the potency of a substance, its level (dose), duration and timing of exposure. In regulatory decision-making, these factors must all be taken into consideration as they help determine whether and to what extent a substance may actually cause harm. Potency is a measure of a substance’s strength to produce an adverse effect. A highly potent substance produces an effect at low doses, while a substance of low potency leads to a small effect, even at higher doses. A potent substance may also cause an adverse effect after a short duration of exposure, whereas a less potent substance may require a longer period of exposure to have the same effect. The potency of a substance is important irrespective of whether exposure occurs during early developmental stages or in adulthood. Exposure describes to what extent an individual or population may come in contact with a substance (e.g., via food, water, inhalation or skin contact). The level, frequency and duration of exposure to a substance are all key determinants of whether or not, and to what extent, adverse health effects may occur. Adverse effects may be observed in laboratory animal studies at very high doses; however, these levels are usually significantly above those to which humans and/or animals living in the environment may ever be exposed. A further important consideration is the timing of exposure and whether exposure occurs during sensitive developmental stages (pregnancy, infancy, childhood and puberty) or in adulthood. Human exposure to crop protection products is orders of magnitude lower than exposure to common, natural and more potent endocrine-active substances like sugar, caffeine and soy protein. Nonetheless, crop protection products are stringently tested and regulated to ensure the highest level of human and environmental safety. Bogert, CJ, Baker, SP, Matthews, JC. 2013. Potency matters: thresholds govern endocrine activity. Regul Toxicol Pharmacol. 67(1):83-88. The endocrine system is a set of glands that produce hormones throughout the body, regulating growth, development, metabolism, tissue and sexual function, mood, sleep, behavior and the body's internal environment.